Wow. What a linep-up this time. 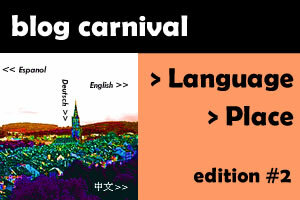 Go HERE to find out who's on the Language and Place Blog Carnival Merry-go-round this month--hosted by Nicolette Wong.